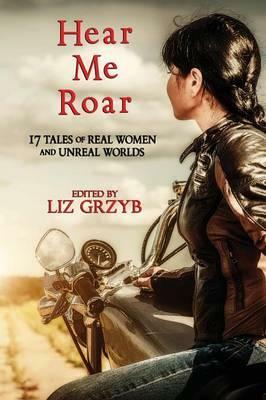 Hear Me Roar is the latest anthology from Ticonderoga Publications, edited by Liz Grzyb. ’17 Tales of Real Women and Unreal Worlds’, it’s a beautifully compiled book of stories about female characters kicking arse, pushing the envelope, and shaping the world around them. It includes my dystopian cyberpunk story, ‘The Fruits of Revolution’, which features a protagonist who’s one of my favourites I’ve written to date. I had a blast getting in her head and finding her voice, and she’s amongst some great company in this anthology. There’s a Goodreads Giveaway running until the 1st of August, so if you fancy your chance at winning a copy, enter here: Win Hear Me Roar!